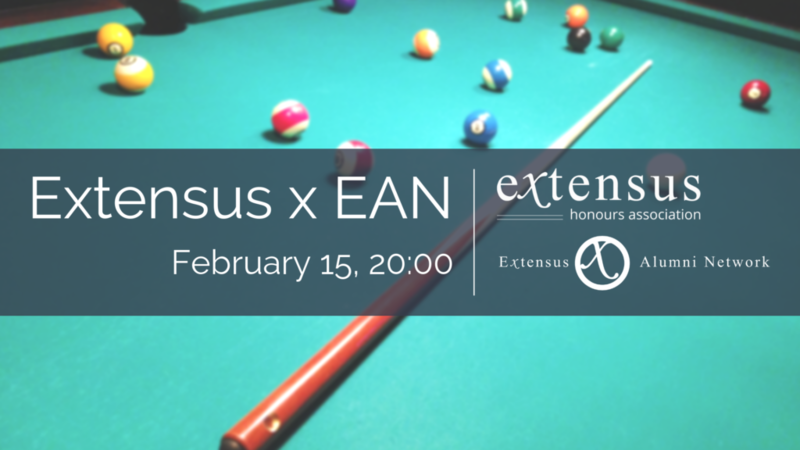 Extensus will host a pool night with the Extensus Alumni Network (EAN)! We will have a fun and relaxed evening during which you can talk to Extensus alumni and hear about their experiences after graduating from the Honours Programme. Whether you want to ask about graduate programmes or job searching, or you just want to get to know our alumni, both Extensus and EAN look forward to having a drink with you on February 15!